Object Desktop is a powerful suite of desktop enhancements that transforms your Windows experience. It's like getting the next version of Windows today. 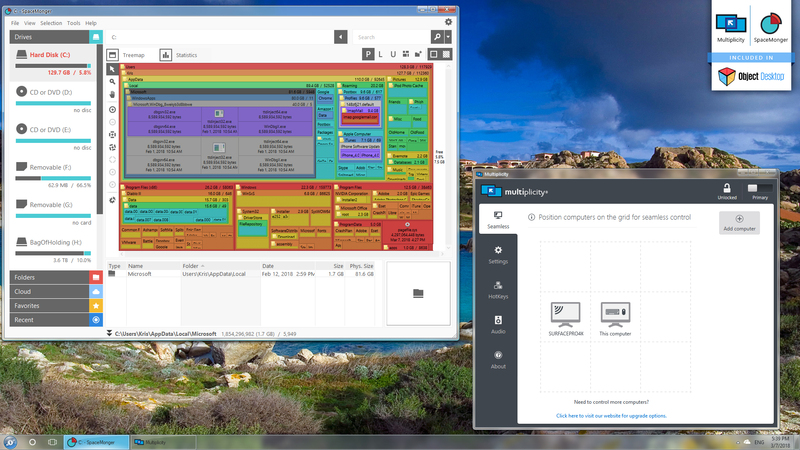 Group running applications via tabs and organize your desktop icons. 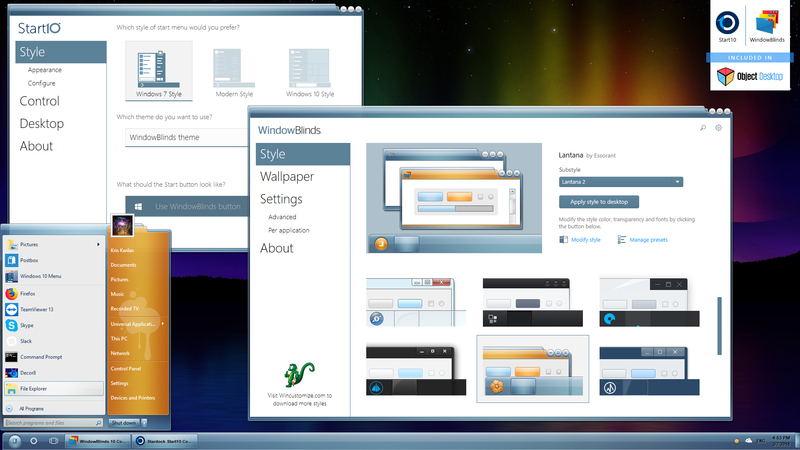 Animate your desktop wallpaper and customize your desktop icons. Visualize disk usage and control multiple PCs with one keyboard/mouse. 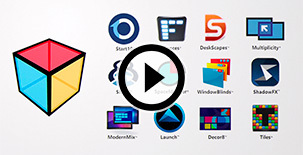 Run with a classic start menu and custom visual styles for your windows. Personalize your desktop wallpaper with animations, pictures, and video. 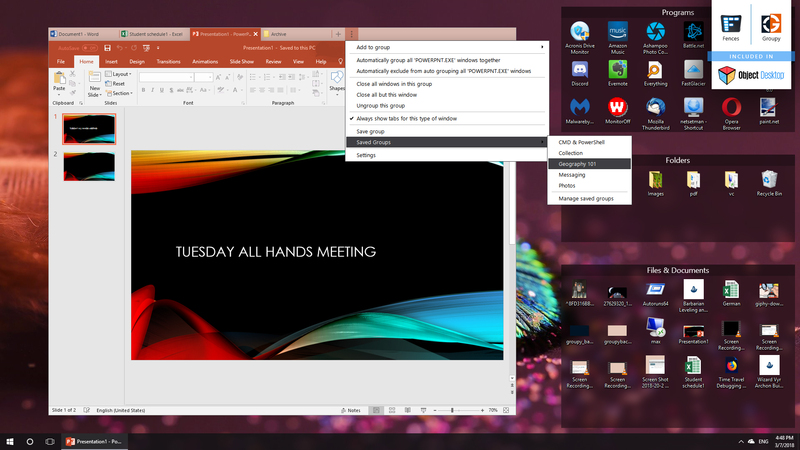 Return the familiar Start menu to Windows 8/10 and make navigating your PC easier. Automatically organize your desktop shortcuts, icons and running tasks. Control two PCs with only one keyboard and mouse. Customize the look and feel of your taskbar, window frames, and more. 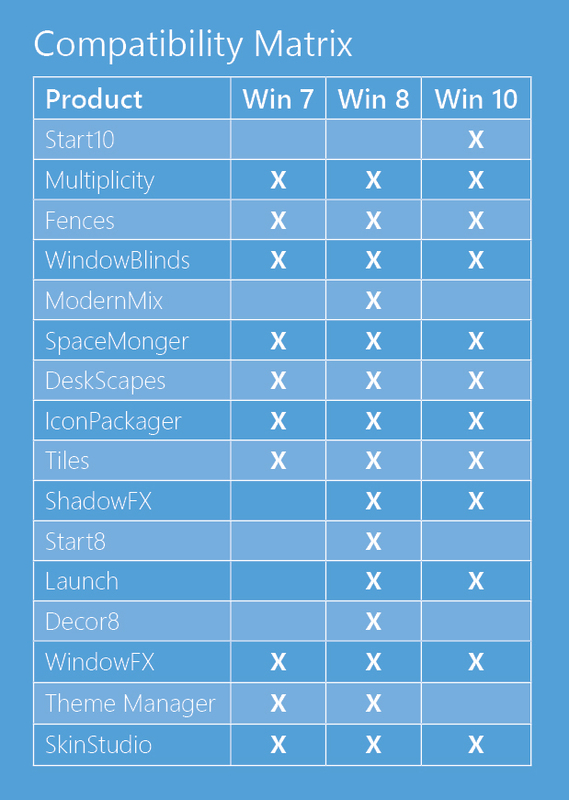 Instantly add black or colored drop shadows to Windows 8 and 10.